A super review on the Buzz Words Blog by Stacey Gladman here. 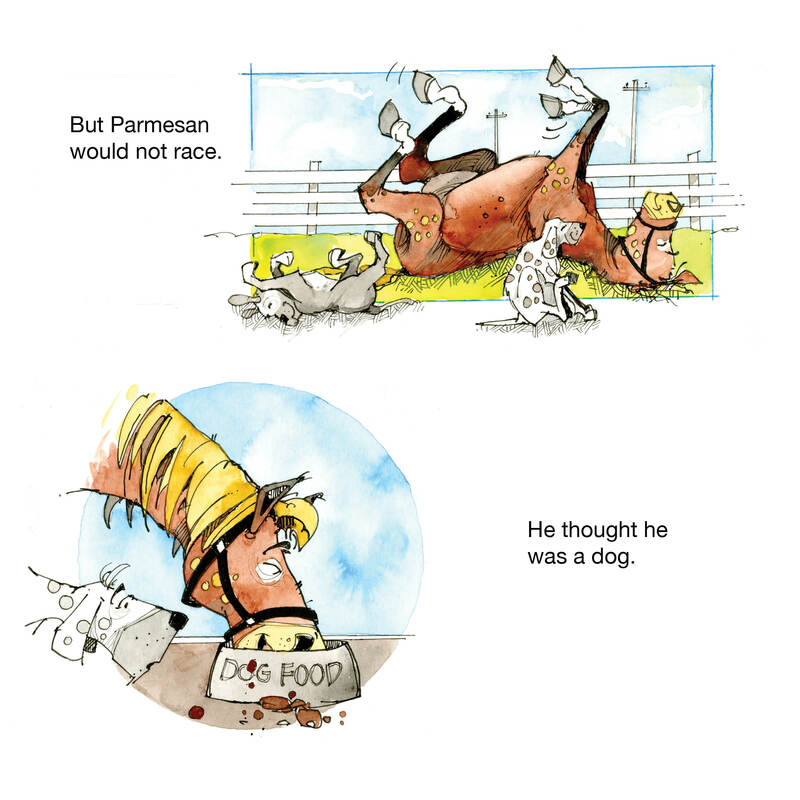 A great review by Cherrie Ryan from Kids’ Book Review here. Kellie Brynes (Children’s Author) interviews Jacqui and reviews her new book here. 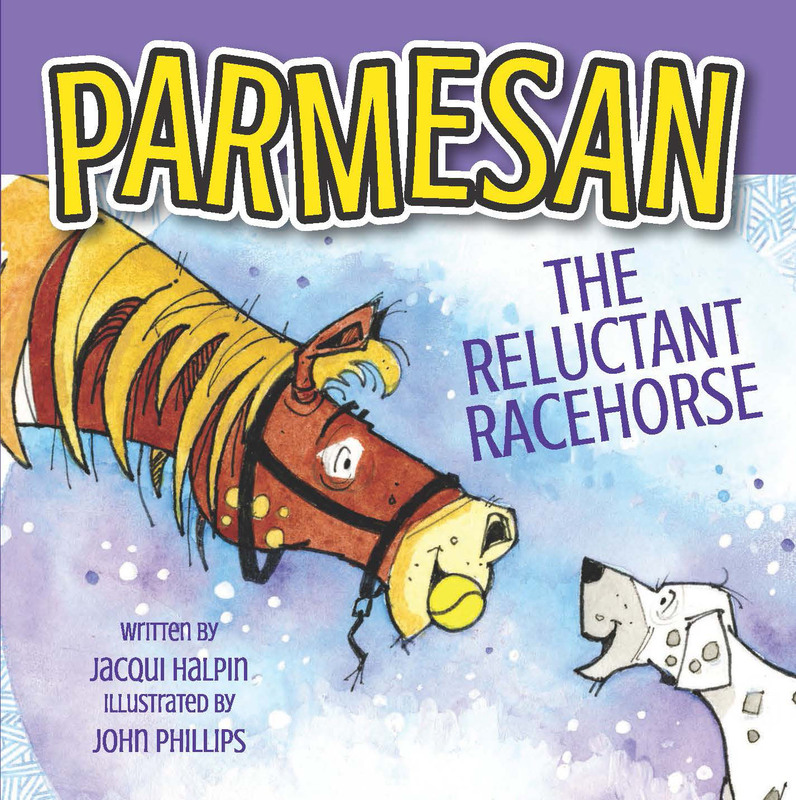 Liz Anelli (CBCA Reading Time) gives a lovely review of Parmesan, the Reluctant Racehorse here. Mia Macrossan (Story Links) gives a lovely review here. A lovely interview with Jacqui by Norah Calvin of ReadiLearn here. A selection of reviews from the Goodreads site here. Please have a look at her Website and Facebook pages. 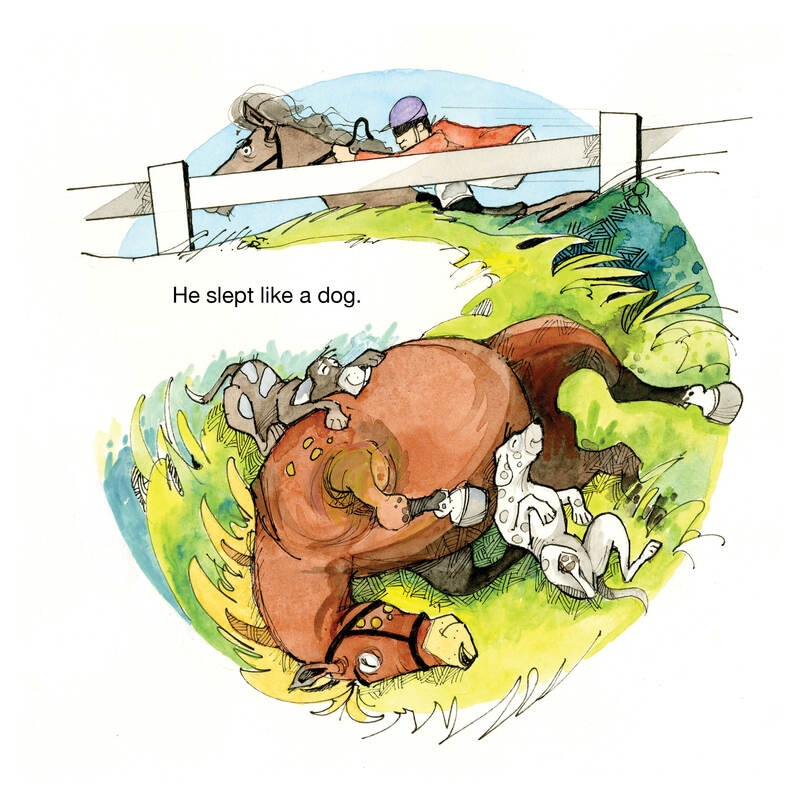 John is very pleased to be ‘on board’ for Little Pink Dog Books first production. 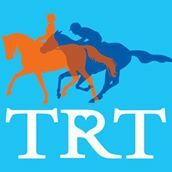 A percentage of the income from the sale of this picture book will be donated to the NSW Thoroughbred Rehabilitation Trust, which re-trains and re-homes retired racehorses, providing them with a new life after racing.